Happy Hump Day, Friends! We are busy working like crazy over here! We've got some big things coming, but we wanted ya'll to know we're still here thinking about all of ya. 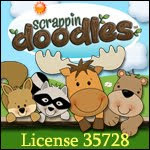 As Erin gets ready to move schools and grades, we are working on all sorts of stuff for her new Kinder classroom. 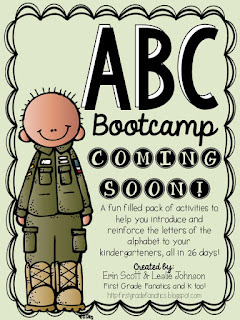 We are working on a new ABC Bootcamp set to help teach all 26 letters in the first 26 days of school. It's one of the biggest units we've ever done, and so far we are in LOVE! 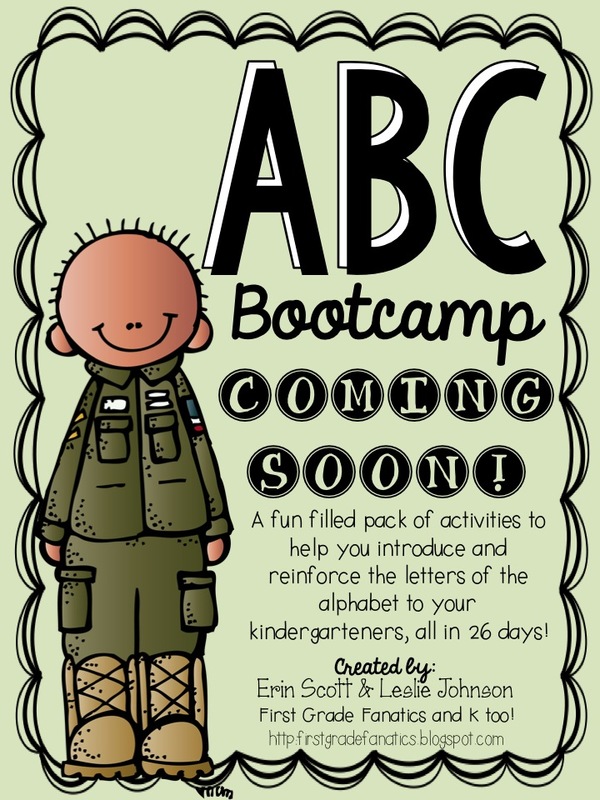 We can't WAIT to share it with you! We've also gotten to take a little peak at our new blog design, and it's AMAZING! Be watching soon! First Grade Fanatics and K Too! Happy Sunday! 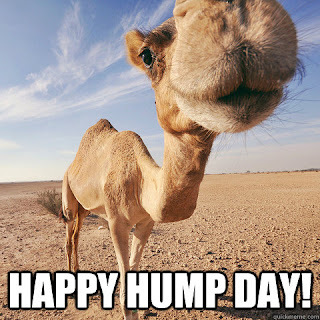 Hope you're all having a great day! Summer vacation is in full swing for us and we're really enjoying our time with our kiddos and family! We're also creating lots of new products and can't wait to share them with you in the next few months! A new blog design is scheduled for the end of this month, plus we're now on Facebook, Instagram, & Pinterest! If you'd like to follow us just click on our Facebook, Instagram, & Pinterest icons in our sidebars located to the left and right of this post! 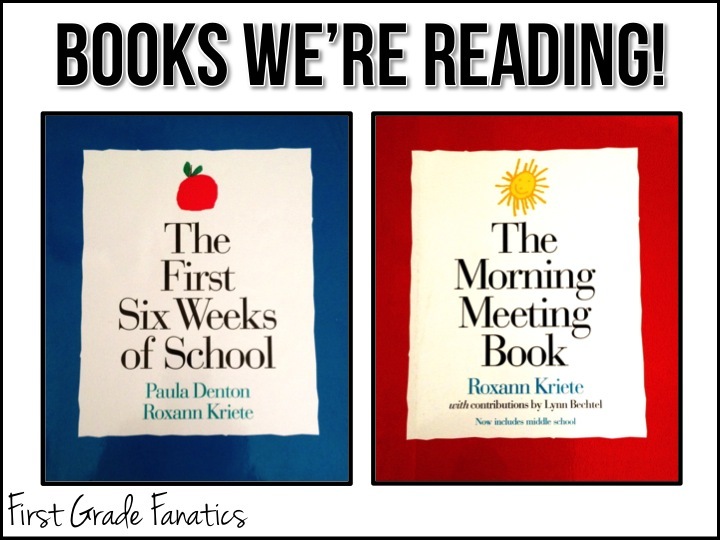 This summer we're also catching up on a few books! 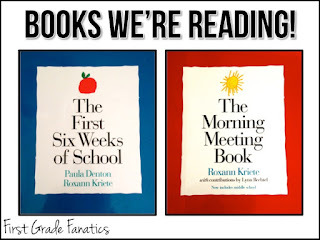 The First Six Weeks of School & The Morning Meeting Book are both WONDERFUL books and great for reading before the school year starts. We've had these books for several years and refer to them often! 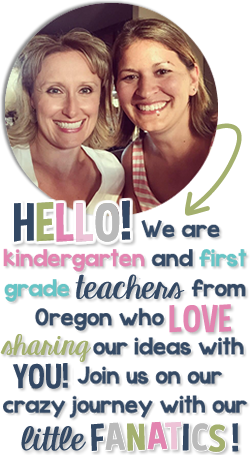 They both offer great tips and ideas on building a classroom community that can be incorporated into ANY classroom. Both books really give great ideas to help start a successful school year! You can find them both on the Responsive Classroom website and also at Amazon. And speaking of the Responsive Classroom website, they have a blog that has WONDERFUL articles that offer great ideas and teaching strategies. We also follow them on Facebook and subscribe to their YouTube videos :) If you'd like to check them out, links are below! Here are a few freebies that we'd like to share with you! 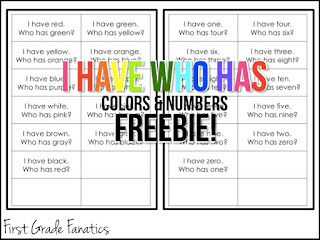 We incorporated these into out last few weeks of school and hadn't got a chance to put them on the blog yet! One of our last weeks in our Treasures reading program had a strong focus on number and color words. 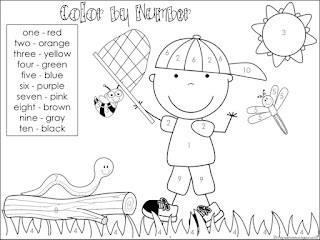 We created this little color by number worksheet and added it to the back of a Treasures grammar/spelling worksheet. 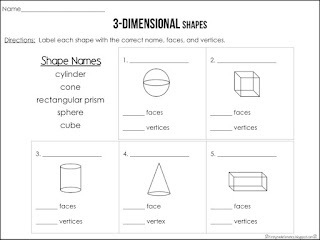 It was one of the worksheets at our paper practice center. To continue the focus on color and number words, we incorporated these I Have Who Has cards during our small group reading instruction. If you have less than 10 kids in a group (teacher reads one card) You could read the extras, or give a few students more than one card. Our students absolutely enjoy this game! 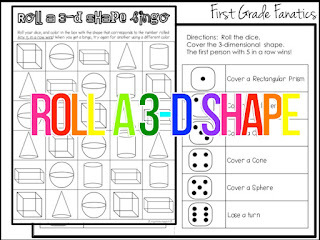 Since our last chapter in math focused heavily on 3-dimensional shapes, we created a worksheet, and a math game for extra practice. Both are pictured below just click the pictures and you'll be able to get your freebies!